GenCell Biosystems, a privately held biotech startup, developed an innovative library preparation instrument for next-generation sequencing (NGS), or genetic testing. GenCell planned to introduce its product at the industry event, Advances in Genome Biology & Technology (AGBT), but first needed to develop a name for the product. So, they partnered with David James Group to create an integrated marketing program that would be memorable and create a lasting impression on the genetics industry. To develop a name, DJG and GenCell sought to develop something that would stand out in the marketplace and highlight the product’s composite liquid cell (CLC) technology. The strategy was simple: we wanted to create something short and memorable while referencing the CLC technology. So, we came up with “CLiC,” adding “LP” on the end for “Library Prep.” CLiC LP became the new name for the product and the beginning of the brand identity. DJG then developed a bold, geometrically inspired logo that highlighted “CLC” in the name and included a prominent dot to represent the oil droplet that powers it. A full-color palette and brand guidelines followed. 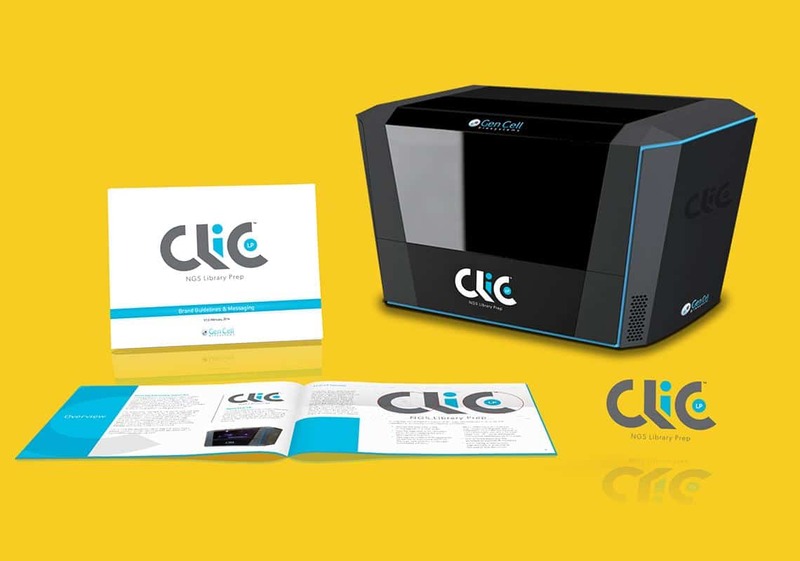 The brand identity process was approached with brand extension in mind, allowing other future instruments to fall under the CLiC brand, with CLiC LP being the first product. In addition to the name and identity, DJG developed an integrated marketing program complete with a custom-designed presentation folder and sell sheets, advertisements, onsite event graphics and a microsite complete with a product overview video. 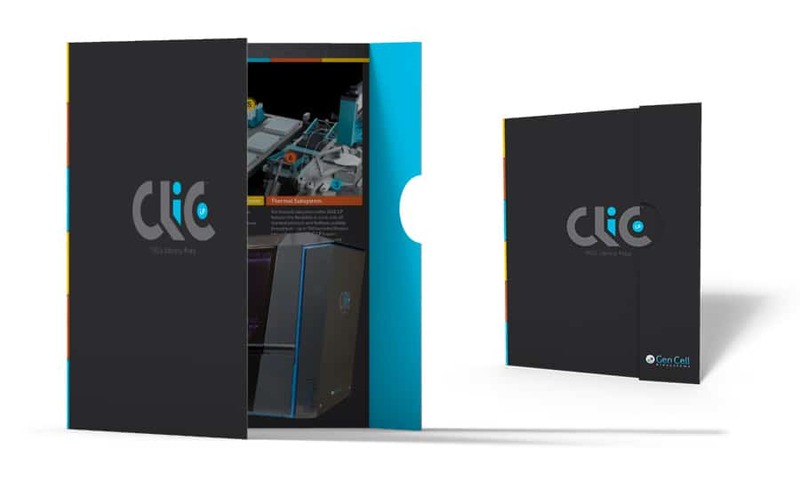 The CLiC LP name and identity was a cornerstone of a successful product launch that put GenCell and the CLiC LP product on the life sciences map. Many people at the conference asked about the "CLiC" instrument and hundreds visited GenCell's suite where the product was on display. Email us or use our live chat feature below to learn about how you can create a stir with a new product launch.